From I-5 take exit 77. Left at light on Riverside Dr. Slight left on SE Newaukum Ave . Left on SW Sylvenus St. Right on SW Hillberger Rd. 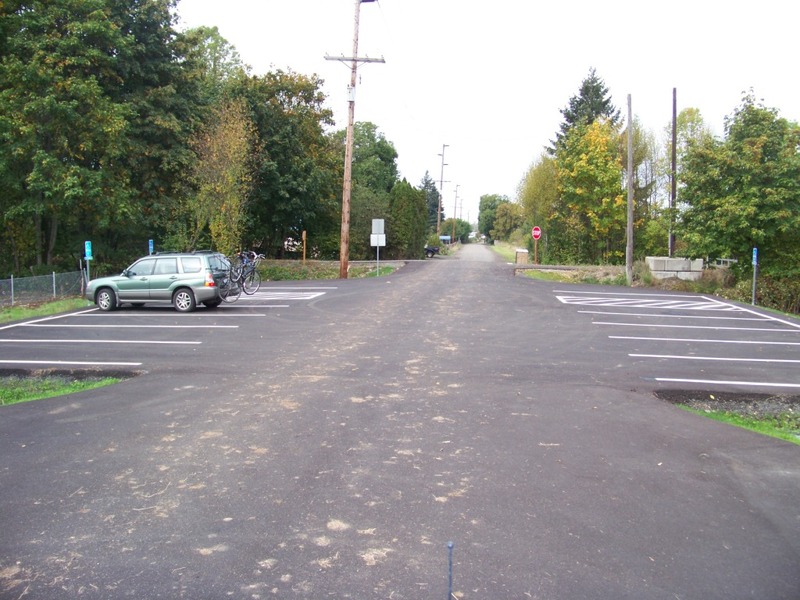 to the large newly paved parking area at the Chehalis trailhead. The trail is a beautiful break from city life that starts just minutes from downtown Chehalis. On the way to Adna it crosses two century old trestles that cross the Newaukum and Chehalis Rivers. As it crosses Tune Rd, Shorey Rd and Hwy 603 it provides beautiful country scenes and a glimpse of Mt. Rainier away from the busy highways nearby. It parallels Hwy 6 for a short section before it crosses the highway at Stearns Road. The trail then goes past a private manmade lake that was used for barefoot waterskiing competitiions, then behind Adna High School to the Adna trailhead. The trail continues past the parking area for another 3/4 mile across Bunker Creek Road, past a sheep farm and continues ton to Pe Ell without detour. From Pe Ell to South Bend see the google map for traik conditions. 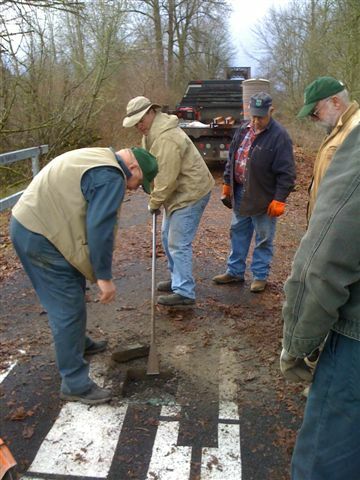 A major hitch in the completion and official opening of this trail has been the Littell crossing at Hwy 6. There is poor sight distance where the trail crosses this major Highway. For the time being the paving will end a short distance in both directions of the trail and change to gravel to ensure slowing down at the crossing. 0 Hillberger Road, Chehalis, WA Hillberger Rd. 5.2 Trestle # 5 - 5.2 miles paved Bunker Cr. Rd. 6.5 Spooner 1.3 miles gravel Clinton Rd. 9.6 Ceres Hill Road crossing 3.1 miles gravel Ceres Hill Rd. 9.6 Ceres Hill Road crossing Ceres Hill Rd.